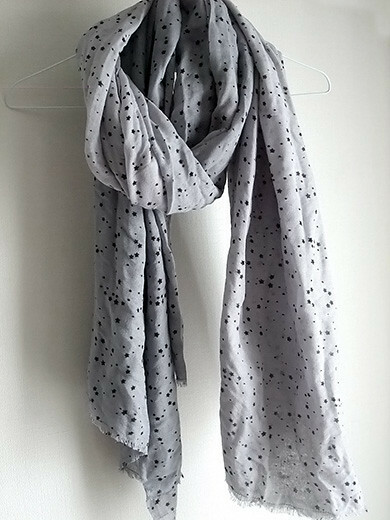 I got a big smooth wool and silk scarf from BECK SONDER GAARD. 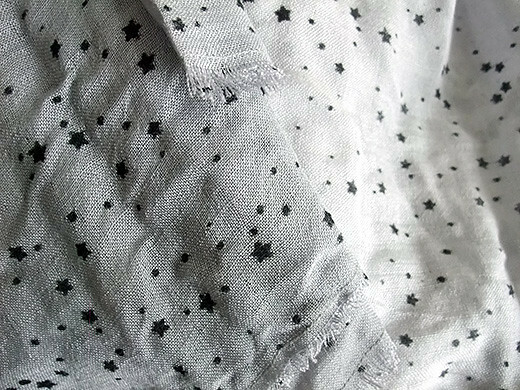 So many tiny stars were hand-printed on, and I like the gradation of faded gray color. I’m waiting for the season to use this …autumn! !